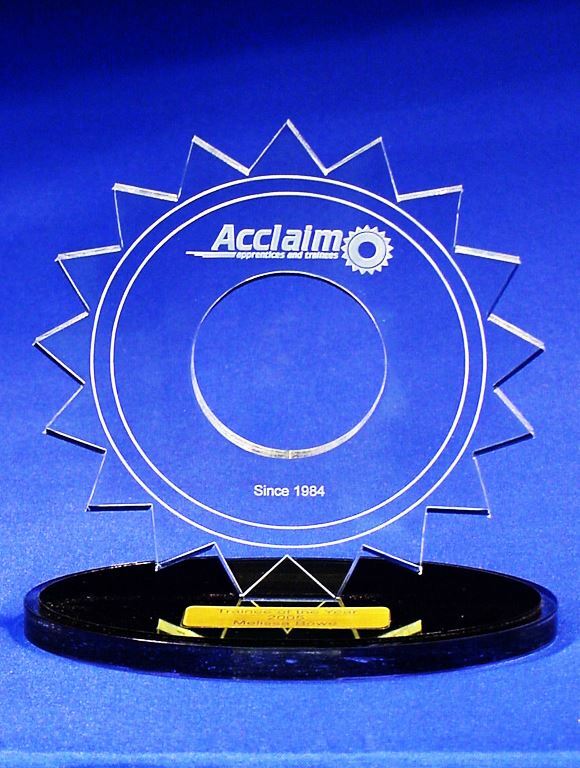 Cut to any shape or size this budget Acrylic award could look just the way you want it. Laser cut form 10mm clear and black acrylic with laser engraving. Could also be full colour printed.